At the start of the year 2012, though it is deemed to be a year of doom by some, I had anticipated an exciting year ahead with Body, Mind and Spirit experiences as per my forecast in an earlier post here. However, I didn't anticipate that so much would happen so quickly! If my life today can be charted on a simple graph with a line along the X-axis representing time and the Y-axis representing the height of my excitement in life, it will look something like the above. Notice the several peaks occurring in the month of March that ends on this day. I am compelled to note them down in this post by sharing the following highlights or peaks of my life in March 2012! In addition to my regular mountain bike riding activities, I found myself scaling or hiking up to hilltops in the close vicinity of the city whenever I have time in Malaysia. It is an exhilarating experience of getting your heart pumping hiking uphill and enjoying the view at the peak, in this case Broca Hill, south-east of Kuala Lumpur. More exhilarating is to have a son join you to hike to the peak, in this instance, was the peak of Gunung Datuk in the state of Negri Sembilan. If you can't get friends or family to come along, it's always nice to have Man's best friend to join you. With a trusted dog, you can even do it in the night time! As a chronicler and in the process of finishing my 1st writing book project at the start of 2018 with a strong theme on Human Consciousness and the title,"From Abacus to the Cloud", I'm amazed to record down little miracles in my life or associations that I see as miracles. This introduces the "Space Time Travel" theme to my book, more and more additions as I go deeper into my own Consciousness to complete the book. Allow me to elaborate. 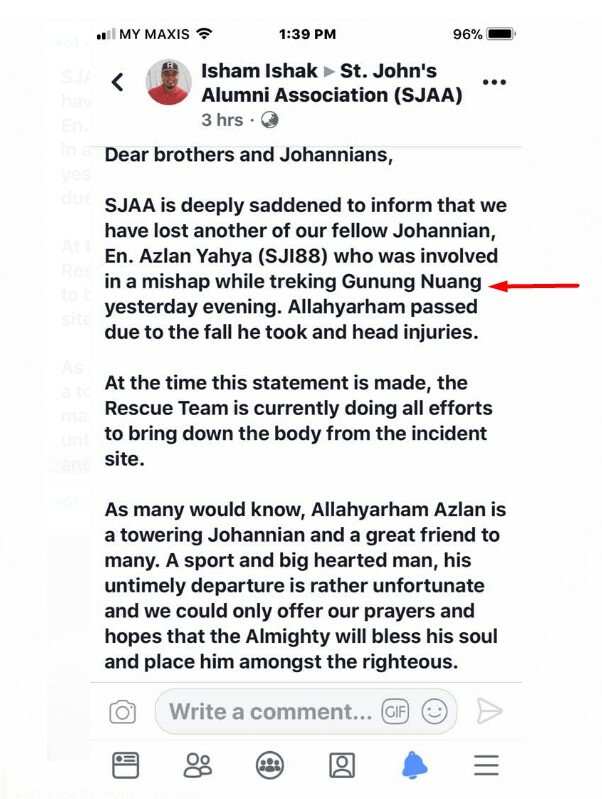 How this post of time travel started is because when we returned home, I began to work on my Consciousness theme of my book to be alerted with a WhatsApp message of my phone of a death of a Johannian of my old school while trekking in our local Gunung Nuang in Negri Sembilan. 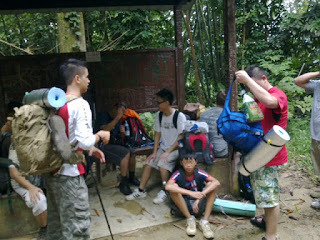 Now my Consciousness in years of writing journals, filing photos/videos and sharing them in blogs and later integrating with Facebook made me recall that I have heard of that Mount Nuang and remembered years ago that Ray, our youngest in the family, was in KL to participate in a youth hike and camp in a local hill. I remembered that I took a lot of photos and wrote captions too but that was some years ago. 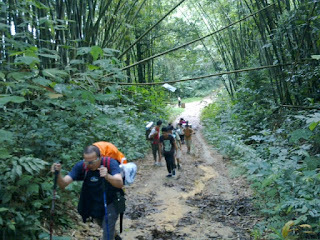 I wanted to find them to know if it was the same hill as the name "Nuang" as is in my Consciousness but I cannot remember exactly if that was the place we trekked and camped! I came to this post remembering that I had a photo of Ray and I on top of Gunung Datuk with the photo shot seen above. But this was not Gunung Nuang so I tried to find photos of a trip that my memory somehow remembered the name and possibly was the 2nd hike my son and I did so I tried to find a blog post of that hike but couldn't. Ah if I understood My Consciousness well enough I know I can find it and I did. It involved Space Time analysis. For Space, where did I store those photos? 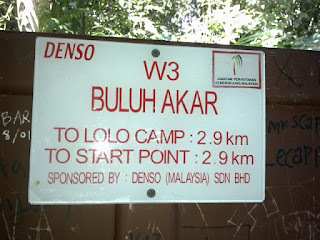 I first checked my blogs to remember a photo of being at the peak of the hill we climbed would be here to find this post and the name of Gunung Datuk was confirmed. I could find this post as the word 'peak' was the title which helped me remember that the hilltop photo would be here. I had only found this space where the Gunung Datuk hike photo of the peak was kept here on this post as well as the link to it found above on this blog post. Where were the photos of the other hill we climbed as I wanted to confirm we did climb it, this being a test of my efficiency of my database of photos and events of my life, being part of my consciousness support system enabled by computing technology to augment my mind with quick search or verification of information. 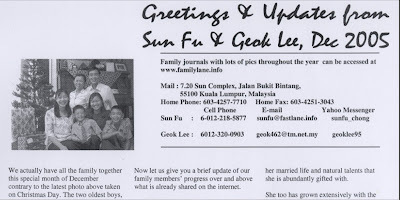 In order to search for the space, I had to use the time dimension to search as I recall the 2nd trip was after the Gunung Datuk trip and 2 of my sons were there as I recalled. The memory was more distinct as Ray fell sick on this trip and I had to take him home to recover and letting my older son Han to continue the journey and return to pick him up the next day. 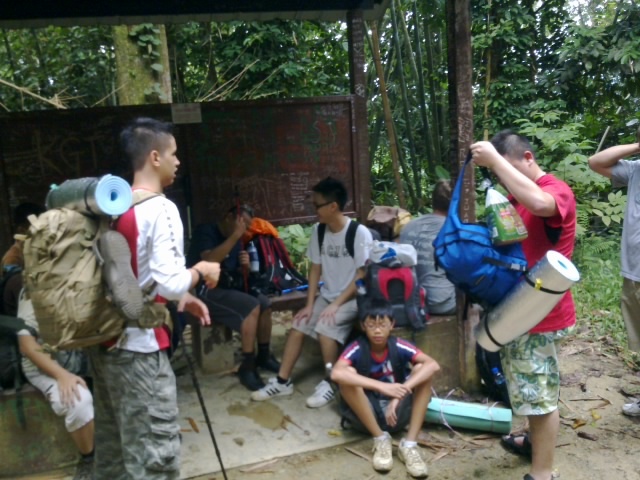 At the start of the trail, Ray was not looking good already from this photo with Han behind him. The tough part of this hike compared to the previous Gunung Datuk is that the camp site is not close to the carpark when one enters the start of the trail. Everyone therefore had to unload all our bags and gear from the car and carry the load for a distance of almost 6km before we can set up camp and rest for the night. It was an uphill hike all the way and about 4 hours later from the starting point, the group only reached the half way point to the campsite at about 2pm ! Ray was by then already tired and sick. A decision was for the group to continue on with Han following them and I would walk back down with Ray to the starting point to drive our car home. I would coordinate with Han on cell phone to know the approximate time they can return back to the starting point for me to pick him home. It is a strange coincidence that in this 1st quarter of the year 2018 in the month of March, I'm blessed to enjoy another peak of my life that was unexpected. I wasn't aware of this trip as I'm not involved with the Young Single Adults group of the Church as my calling since returning to Kuala Lumpur to be my base home was only to serve as a BML or branch mission leader. 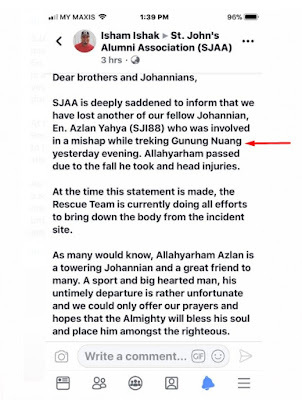 I received a phone call just a couple of days earlier for help in providing another car for the group and to provide media coverage of the event. Strangely since the previous year of 2017, I was asked informally without an official call to assist the Singapore Mission Presidency and the Malaysian District also, to help in keeping up the current history of activities in our Kuala Lumpur West Malaysia District, working with the couple missionaries from the Church Public Affairs office, especially when there is a gap when a couple leaves and another comes to take their place. Besides doing my part to assist in the cause of these Young Single Adults, I did enjoy time talking to and getting to know more members outside my already very large circle of friends whether online or offline. I guess I knew the internet and social media technology can be used for good and even before Church officially chooses to use the technology officially, I had already been inspired to do many things before I am commanded or advised by Church authorities to learn and use them. I knew after being baptized and received the promise of the Holy Ghost, believing that my background of Science could tell me with the Spirit that when Man landed on the Moon, what they discovered would be less than what Man would discover, if he was called to be a prophet tutored by God and his Heavenly Angels, even a young boy like Joseph Smith who was only 14 when he received his first Vision! From my dual majors of my University program in commerce like learning the art accounting/ law with my other major of science of computers, I didn't realize then as I do today that I had acquired Boolean logic as well as Fuzzy logic for my future career! I further had a booster of Fuzzz logic when I was called to be a full time missionary to serve after my graduation. While I may have in the past helped the Church in "Marketing" as a missionary, I was later called to help in "Administrative" responsibilities to be the director of the Church corporation dealing with company secretaries and the government Ministry of Trade because the Church was incorporated as a religious entity under the Company's Act. I am grateful my education was proven useful so that today in my semi-retired age, I can use more fuzzy logic from my art and science background to produce the videos and photos of the Church young single activities of last weekend found in this Photo Album. Since I mentioned the term fuzzy logic, if you want to know how I can obtain this wavelength of logic in my simple ordinary Malaysian brain of mine, go read this blogpost I authored that covers some 'out of this world' experiences and some that happened 'in this world' too of course! One doesn't need to physically climb to get to the top as there are high speed elevators to bring you to the top in a matter of minutes! To enjoy a first class buffet dinner with close friends from overseas and having a panoramic 360 degree view of the city is truly an unforgettable experience. This is a joyful Father and Daughter overseas outing for Tony Seow and his daughter Naomi from the US. 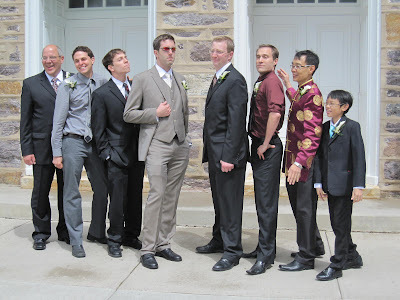 Tony has become our 'Uncle Tony' in our family from his regular business trips to Asia where he got to see our children when they were little till our two daughters were married in his home state of Utah as seen in this latest wedding photo album. Another old friend from the US, Govind, was also in town to join us for a hike up Melawati Hill or Bukit Tabur on the very next morning at 6am of 17 Mar 2012, after the sumptuous dinner we had at the KL Tower. 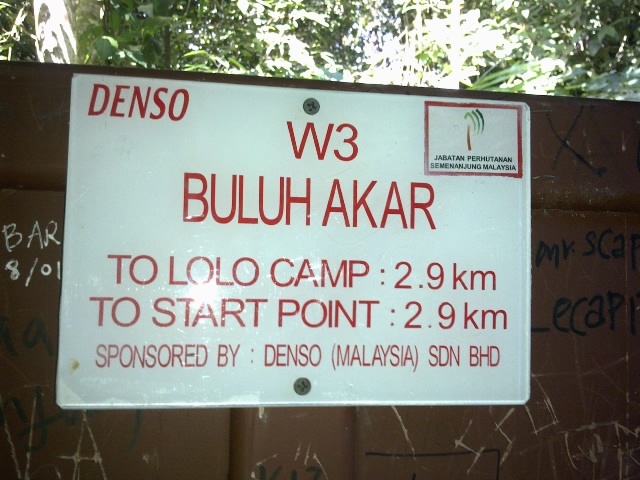 It's so nice to share what Malaysia has to offer in nature with our foreign friends. After all the countries I had the privilege to travel to and the beautiful sights in the cities or up in mountain tops I had enjoyed, I have come to realize that nothing beats the peak experience that comes from human interaction with friends and family members in my life. They could happen just in the four walls of a home. A new life joined us in the world with the birth of a healthy baby girl named Aliya Estelle Grant on 15th March 2012 when Ray and I were still in KL. We went to visit the baby at the home of her parents, Chelsea and Dixon Grant, after Ray and I had returned to Singapore on 18 Mar 2012. When I saw Mumsie Bush, the mother of Chelsea, who came all the way from Logan Utah, I was almost in tears as a peak experience in her home during the wedding of Fei came to my mind! Here is a pic of us in her home in May 2010 when she hosted us by offering her home to be used as the Bride's home for Fei's wedding. All the fun and laughter we had in that unforgettable peak experience, at the top of the Rocky mountains, was recorded in a journal post here. Another thing that one experiences as you get older is that there is a double peak of happiness when we witness the younger generation reaching peaks of success and happiness in their own lives. I wrote a post on this entitled The Next Generation in my spiritual journal. Seen here is the family celebrating the peaks of the lives of our two older boys seated infront, Han on the right and his brother Shuan. Only the 4 boys are with us now and so the two older boys are getting all the limelight with the peaks of their achievements. You are hereby called to serve as a missionary of The Church of Jesus Christ of Latter-Day Saints. You are assigned to labor in the ENGLAND MANCHESTER MISSION. It is anticipated that you will serve for a period of 24 months. You should report to the England Missionary Training Center on THURSDAY, JUNE 7, 2012. 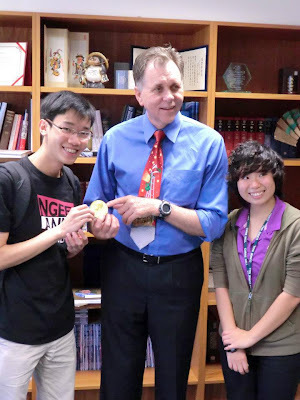 You will prepare to preach the gospel in the MANDARIN CHINESE LANGUAGE." You, Sandy Chan, Jenny Han, Tennyson Renner and 66 others like this. Ashley Siow Preaching in chinese in england??? Wen Jie Fred Tan congrats man! Irfan Rais It's a lovely place, very red and everything. Check out this shop called Hobgoblin's if you have the time, it was a playground to me! Fei Wyatt Han, Sis. Kerrin Henly (Royle) is from there. Alvin Tadina Wow congrats han!!! And u will leave first before me hahaha..
Cathy Lee Congratulations! Way to go! 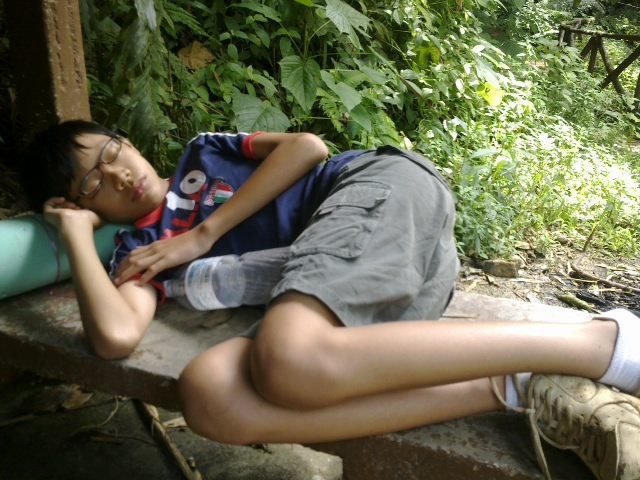 Chong Lee Khim So cool! Tell me how many people turn up for your first preach k? Brett Potter Barrett Blessings to you and your whole family! Dixon Grant Congrats Han, you will be blessed serving the Lord. Lee Chern Hui Hey buddy.. congratulation! and since you're going to England, and it's not far away from here, perhaps we can meet up during some holidays..
Liew Hui Lian Woot woot! You will be amazing! I KNOW IT!! Chuck Liu Han, congratulations! We're very happy and excited for you. I know it will be the BEST mission for you! Jenny Han Congrats Elder Chong! so happy for you! Arjun Aj Rashiwala All the best buddy. Hope there's a com nearby when heart of the swarm arrives. Arjun Aj Rashiwala Here's an idea. Increase ur apm. Create an account in a chinese server and preach and pwn at the same time. Just saying. Eunice Lian omg you are an elder???? Waihon Chee would be funny to hear you speak chinese all the time suddenly haha. all the best! Post Development events: Elder Chong's first-year experience on his mission is found here. The following photos depict the spirit of the event especially when everyone began to sing in the next video below. I especially zoomed in on the logo of ACS with the words "THE BEST IS YET TO BE"
It was nice to meet up with the Principal, Mrs Kelvyna Chan, whom we had met the first time in Sep 2010 when Han also received 3 awards, but of a non-academic nature, in the ACJC Honours Night. It was nice to meet other teachers that had helped Han obtain distinctions in the subjects they taught such as Chinese by the lady on the left and Music by the lady on the right next to Mom. 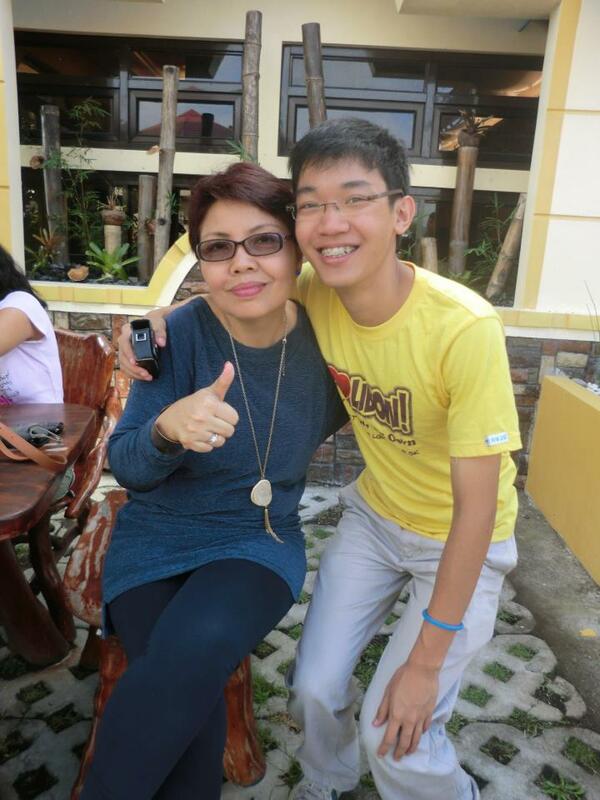 Here is Nguyen Tuan Anh from Vietnam where Mom was his parent mentor when he was a student in ACJC. He was also an award prize winner today. Another prize winner is Andrew Arjun Sayampanathan on the left with his father. Andrew, Tuan Anh and another friend Law Zhe Wen who also won a prize (not captured on camera today) are close friends with Han who were last seen together with the family on Han's 21st birthday dinner. There reception area had a nice view of the sports field of the Junior College. I enjoyed the view as well as some precious time in which I had a chance for a one-to-one chat with the Guest-of-Honour, Bishop Dr Robert Solomon of The Methodist Church in Singapore. He was very well aware of our Church and buildings being in 253 Bukit Timah road and the new chapel in Sengkang/Compassville. The event this day would add Han's accomplishment to the family post that has been recording the boys' academic performance since they came to Singapore in 2007. It includes Han's younger brother Shuan's academic performance. Woon Shuan who recently went to Perth Australia as a prize in a competition that he won is leaving next Monday to Philippines as he was selected by his college to go there and to California USA later in June due to his consistent top academic results. Latest college results that came out in the first quarter of 2012 showed he scored a perfect GPA of 4.0! Post dated photos of his 2 week trip to Philippines is found in his facebook albums starting with day 1 here. Below is the photo he took with the Mayor of Libon where his team from Singapore was assigned to render help in the community. The two older boys are certainly setting a challenging pace for the two younger ones to catch up! .... which was for Fei's, his oldest sister's, wedding as seen in the photo above. This proves that he is catching up fast with his older brothers, at least in body size as the coat fitted him much better then! How about Mom and Dad? As for Mom, she doesn't have to prove anything more as giving birth to and raising 6 children itself makes gives her the biggest trophy of life besides others she won along the way. Well as for Dad, he has learnt to be a Singapore Kiasu king so he walked into the Toastmasters club near home on this same week to receive this. Post-dated Event : Han had received confirmation that his application to the Yale-NUS university in Singapore has been accepted. Refer to this journal post that covers his mission call with links to his acceptance to the university.